What if Mr. Darcy never got the chance to propose to Elizabeth? Mr. Darcy arrives at the Hunsford Parsonage ready to bare his heart to Elizabeth. But his plans go awry when—before he can muster up the courage to declare his love for her—she receives he receives urgent news from Longbourn that her father has fallen gravely ill. She must return home at once. When Elizabeth arrives at Longbourn, she is surprised to find her father is the picture of health. But Mrs. Bennet is at it again. It was all a ploy to get Elizabeth to return home as a new suitor is waiting for her. Mrs. Bennet is desperate to marry Elizabeth to the new man. He is not only wealthy, but he also happens to be a prince from France. Elizabeth is shocked to find that as she gets acquainted with Prince Gabriel, her thoughts keep wandering back to Mr. Darcy. What had he wished to say to her back in Kent? Before they had been disturbed, he had claimed it was of great importance. In her eyes, he is a disagreeable and proud man, and nothing he could possibly say would change her opinion of him. What she does not know is that Mr. Darcy has followed her to Hertfordshire, and it pains him deeply to find that she is the focus of another man’s affections—a prince. How could he possibly compete with someone of royal blood? To make matters worse, Mrs. Bennet is determined to keep any man away from Elizabeth. No one will stand in the way of her marriage to the prince. 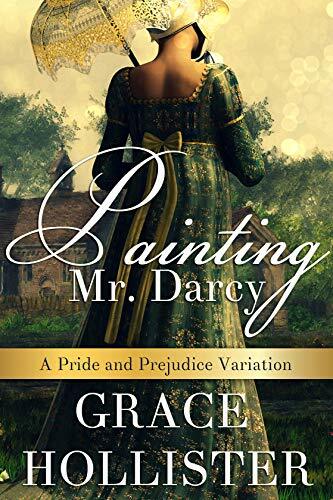 Unbeknownst to her, Mr. Darcy is just as determined to find a way to Elizabeth’s heart. He will make her see that he is not the man she thinks he is. But what if it is too late and he has lost her affections to another man? She wonders if the butterflies are the result of attraction or utter disgust. Mr. Darcy’s mercurial changeability, Mr. Wickham’s accusation, and the fact that Darcy is to marry Anne de Bourgh should have been enough to make her keep her distance, but her heart had other plans. An ill-conceived attempt to make her jealous ends with Elizabeth feeling utterly confused. While one gentleman attempts to win her favor, another appears to have won her heart. "Flirtation and Folly" is a sweet romance featuring Our Dear Couple in this Pride & Prejudice Variation, and it's over 50,000 words long.